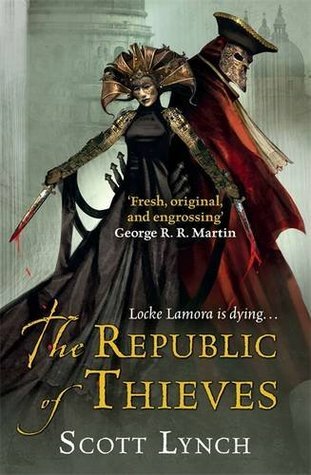 The Republic of Thieves is very much the story of Locke Lamora and Sabetha. In the first two Gentlemen Bastards novels, Sabetha is a name which is mentioned, a presence without ever making an appearance. It is the sort of foreshadowing that means her actual entrance has to be quite impressive to live up to all the anticipation. I'm happy to report that it does, and then some. Locke (our whip-smart but short & weak hero) and Jean (his big strong bestest buddy friend) start the novel holed up in a city: Locke has been poisoned and is slowly internally bleeding to death. Jean means to save him. Things look bleak, and it takes quite a good chunk of text before the real story starts. So, the beginning of Republic of Thieves took some effort. It also felt unusually grim and a bit slow. Once the story moves, Jean and Locke are tasked with arranging an election victory, and find out that their opposition has hired Sabetha to do the same. The story is told in two intersecting paths - Locke and Sabetha in adulthood, and then, intersecting with that, their childhoods / young adulthoods. The parallel narratives work so well, I can barely imagine the novel being told any other way. Once Locke and Jean are recruited into their task and arrive to start work, the pace just never slackens at all. The novel becomes a stunningly enjoyable, exciting and quite playful tale. In fact, playfulness is at the very heart of the novel: if romantic tales were generally this playfully fun, I think I could be converted to read more of them. And the novel even contains large chunks of a perfectly authentic sounding (to my ears) Shakespeare-style play: hats off to Scott Lynch for carrying that one off. What makes Republic of Thieves stand out is that it feels like the writer is conscious, perhaps too much so, of the shortcomings /criticisms of... well, pretty much every other fantasy novel featuring female characters, and pretty much every other tale pitching a male lead to compete with a female one while romantic entanglements ensue. It's as if someone really intelligent had sat down, thought hard about gender issues in fiction and genre tropes, noticed all the flaws in boy vs girl stories (Mr and Mrs Smith, That Girl Friday, etc etc), and then decided to write a sensitive, well-planned, post-postmodern, positive-about-women-gay-people-and-everyone response. In short, sometimes Locke's & Sabetha's interactions feel just a smidgen too utopian. Sure, they run into problems. But then they talk about things, and do so frankly, honestly and with insights into themselves (and each other). They have feelings and irrational moments but can step back and express themselves coherently and discuss them and deal with stuff. Also, Sabetha is intelligent, strong, uber-competent, and without any discernible weakness or flaw: she is written to be the perfect woman. When it comes to Locke, Sabetha and Jean, they're all just a bit too perfect and wise and eloquent, and too self-analytical and communicative. As flaws go, that is a minor one. But it did make me wonder whether the previous novels already had such worthy philosophies underneath. I do have some memories of female characters (a pirate captain, and, after much racking of brains, an underworld princess), but none which left quite as lasting an impression, nor do I remember there being nearly as much 'talking things through' in those books. But then, it's been years since I read them. Anyhow, a lot of my commentary above is not so much about the book as analysis of themes in the book. There are two simple reasons: I don't want to give much away, and I'd be left exclaiming one superlative adjective after another: the book is just too much fun, so I'd end up calling it "great" and "fantastic" and "delightful" and "terrifically enjoyable" and other similar things, which sounds all too fluffy. 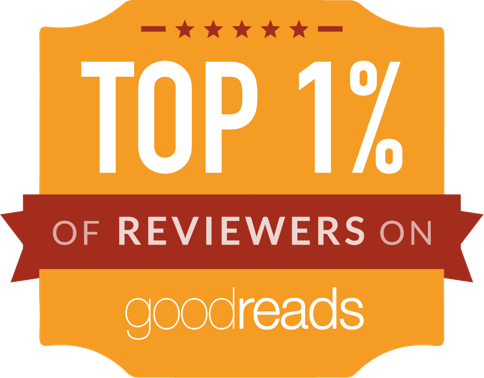 (However, like the preceding novels, Republic of Thieves does not end with an unmitigated happy ending, and does leave off with an opening for the next in the series). If you've read the other two, get this one and read it NOW. If not, get the other two first, read them, and THEN read this one. (Without reading the others first, this one will probably struggle to stand on its own) This book alone is worth reading The Lies of Locke Lamora and Red Seas Under Red Skies for, just to have the pleasure of reading The Republic of Thieves.